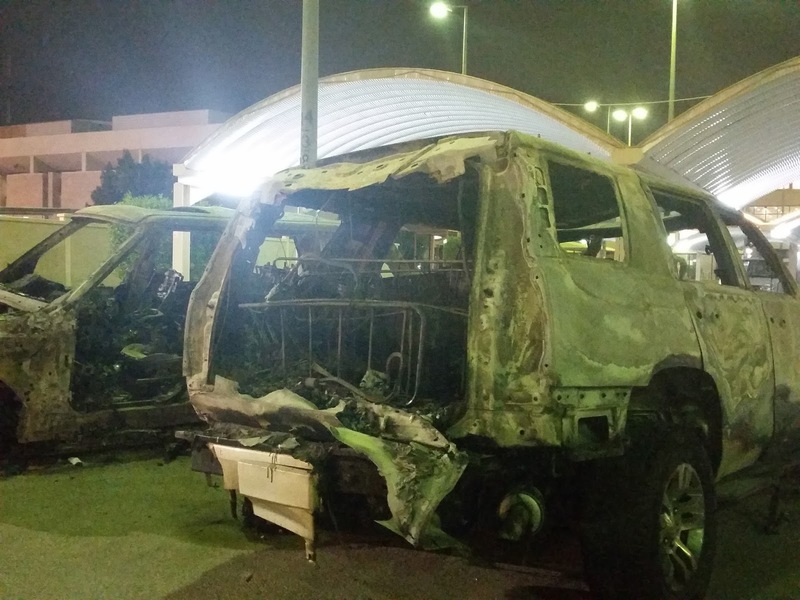 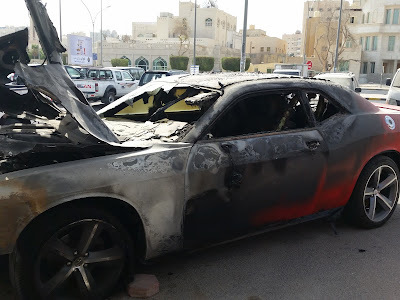 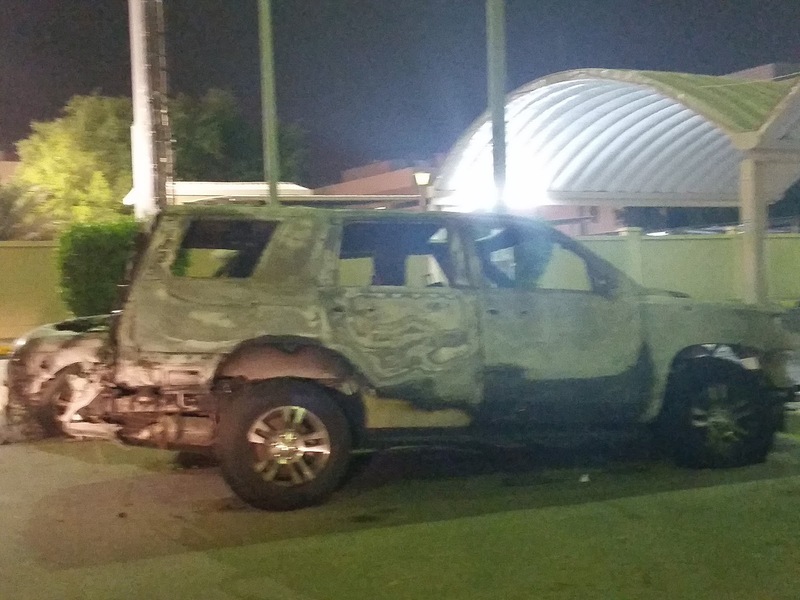 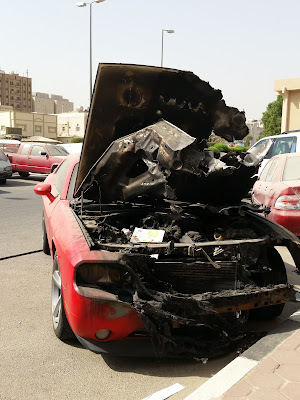 About a month ago on IG there was a video of some cars on fire outside a home in Mangaf I believe, well here is what was left of them after the fire was put out. 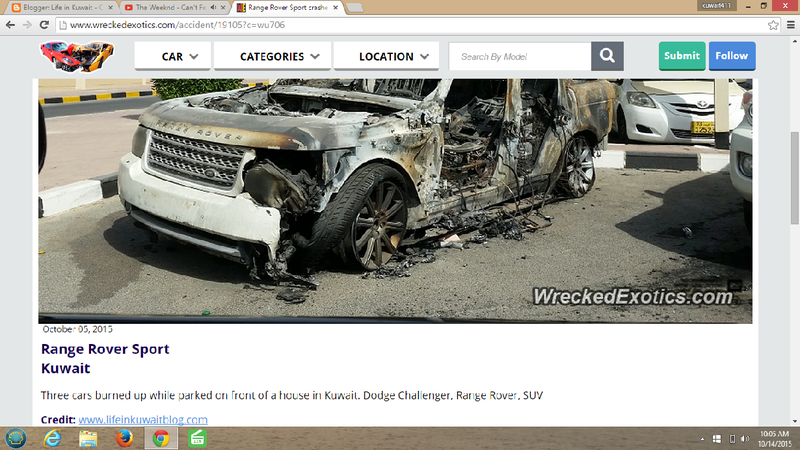 I always submit my pictures of crashed cars to www.wreckedexotics.com and most of the time they will publish them, it's an awesome site to see idiots crashing their expensive cars. 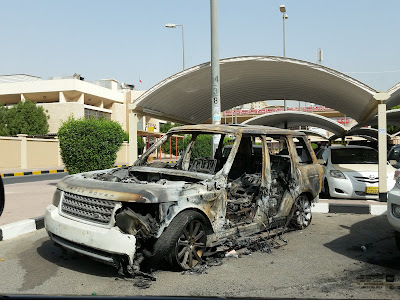 Everyday there are nice cars being crashed in this country, unfortunately most will still have payments unless they have the gold insurance package.